This post is sponsored by Groupon but all opinions are 100% my own. 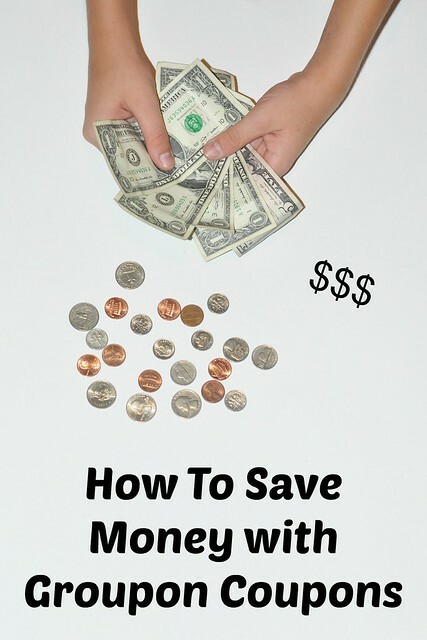 Everybody loves to save money! Finding a great deal is an exciting game. There's nothing quite like the rush you feel after saving a lot of money! 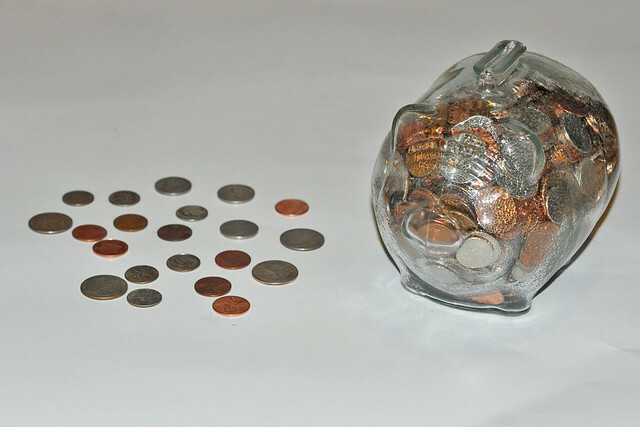 With 4 kids I'm always on the hunt for a great deal that will save my family money. When you have a large family coupons quickly become a mom's best friend! Let's keep it real though: Busy moms don't really have the time to clip coupons or search the house for a lost store mailer. That's why I turn to Groupon Coupons! Groupon Coupons currently has 70,992 free coupons at 10,882 stores in my location that I can use both online and in-store. You enter your location so you can find the best coupons for where you live or where you're traveling to. The website is very user-friendly. You can also search for coupons by store OR by category then choose the coupon that best suits your needs! Groupon Coupons is a great tool for a busy mom like me! I have to go to Kohl's this week and I can't find the Kohl's mailer I received with the coupon attached. 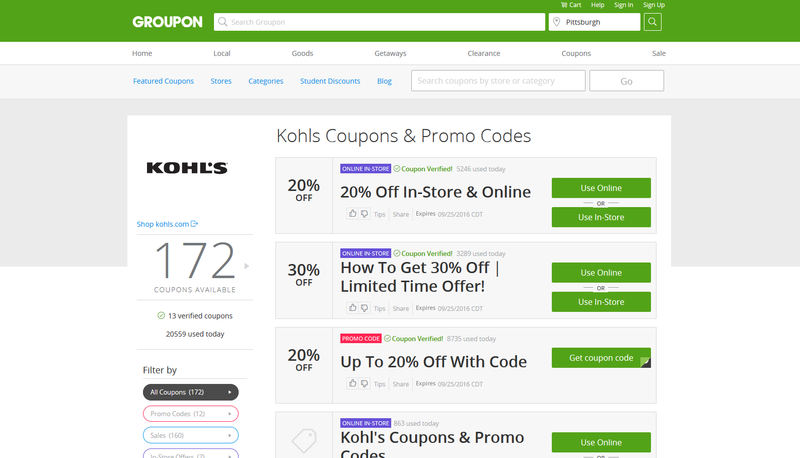 I pulled up Groupon Coupons and within 30 seconds I had a full list of Kohl's Coupons at my fingertips! I found several great savings options and I can choose the Use Online or Use In-Store option. It fits my needs perfectly! If you're a busy mom like me or if you're just a person who wants to save money, Groupon Coupons is definitely for you! How do you save money with Groupon Coupons? Love Groupon Coupons! Went to the states last month and saved some major cash at Kohls!!!! I really need to start using Groupon again!! Groupons is such a life (money) saver!! I have four children, so saving money with coupons is everything to me!! lol I haven't used Groupon before, but I have heard so many good things about them. I would love to give them a try.